The Lip Rods, originally sold in 1994, are back in the Proplica series of high-quality, prop-grade toys with light and sound features! The features can be activated either with or without lines of dialog from the series. 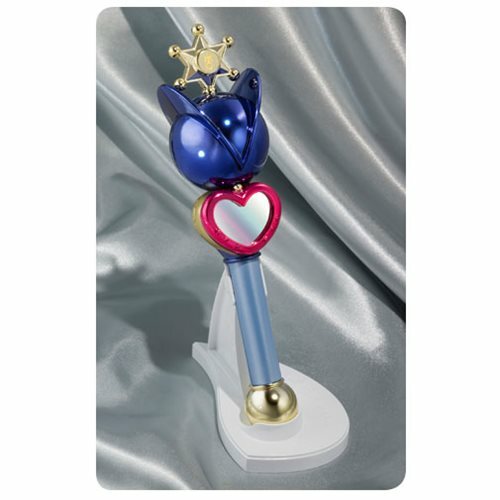 The Sailor Moon Super Sailor Uranus Transformation Lip Rod Bandai Proplica P-Bandai Tamashii Exclusive includes a stand for display. Measures about 8 3/10-inches tall. Requires 3x "LR44" batteries, not included. Ages 15 and up.